Triple all clear booklet style menu covers have six viewing sides. Multi-page menu holders are made from heavy duty crystal clear vinyl. The extra page is sealed along the middle spine. All Clear Menu Cover Three Panel Six View Booklet 5.5" x 8.5" - 12 pc. All Clear Menu Cover Three Panel Six View Booklet 8.5" x 11" - 12 pc. 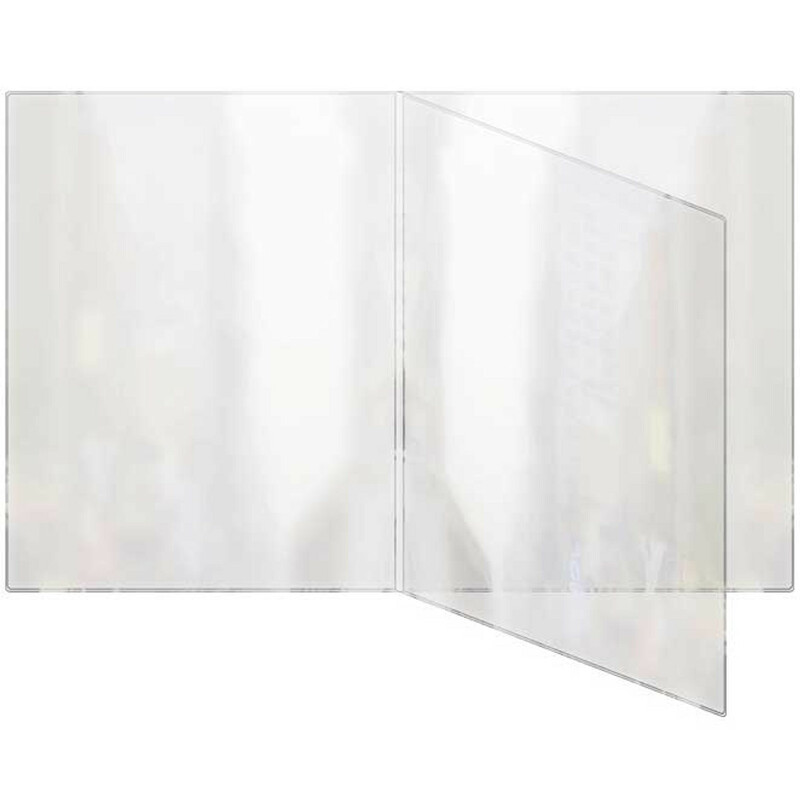 All Clear Menu Cover Three Panel Six View Booklet 8.5" x 14" - 12 pc.